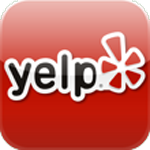 Do you need a Leak Detection Company Oxnard, CA? 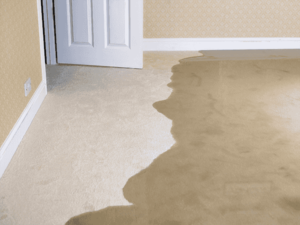 Have you discovered that you have a slab leak in your home? Slab leaks occur when the water supply lines under your home become compromised and begin to leak. Depending on the type of leak, whether it is a pinhole, slight crack, or full circle break, these leaks can potentially cause serious damage to your home and even cause flooding. Did you know that estimates show your home probably loses anywhere from 2,000 to 20,000 gallons of water annually due to hidden water leaks? These leaks can range in severity and location. Slab leaks are some of the more severe leaks that can occur, however less severe leaks such as having a leaky hose bib, runny toilets, and broken shower valves are all still major contributors to annual water loss. Depending on how much water loss your home experiences, you could be paying hefty amounts of extra money each month. Are you having trouble validating if you actually do have a leak? Leaks can be impossible to validate without the right know-how. Everything we do here at Pegasus Leak Detection is designed to help you, the customer. Please view our “Testing for Leaks” page for more information on how to determine if you do have a hidden leak. With several leak detection companies to choose from, you can rest assured that Pegasus Leak Detection is the very best! We are highly trained, experienced, and have the latest leak detection technology to better assist you. Our training doesn’t just include finding leaks, but we have also received extensive training in customer satisfaction. For more information on why Pegasus Leak Detection is the right fit for you, please view our “Why Choose Us”. When it comes to detecting leaks, we at Pegasus Leak Detection are second to none. We employ a wide range of techniques and processes for quickly and accurately detecting frustrating slab, irrigation, and pool leaks. We are confident that our state-of-the-art technology and proven skills will quickly earn your trust. Trust the best Leak Detection Company Oxnard, CA.